Everyone remembers a negative experiences with an onlin shopping experience, and there’s hasn’t been a real mechanism to prevent sites that are riddled with consistent bad experiences from receiving traffic. As consumers, how can we make sure that the good sites are rewarded? Shopventure, the online shopping community is rating online shopping experiences and warning the broader community before they get invest too much time in a site where a deal seems to be too good. Prior to any online purchase, this should be your first stop to make sure you know what you are getting yourself into. AlleyWatch chatted with cofounder and CEO Julie dePontbriand about the startup and how it is making a difference. ShopVenture is a social shopping platform centered around customer reviews. ShopVenture’s recommendation engine suggests products and shops for each user based around their activity on the platform. Online merchants can sell reviewed products and promote products and sales through the ShopVenture community. ShopVenture allows consumers to not only find the best products based on real customer reviews, but also the best stores and sellers so they know what to expect in terms of delivery and service. For Merchants, our SaaS platform allows them to not only collect and manage their products and reviews, but also monetize them by selling through the ShopVenture community. There are over 12M online stores globally who are trying to differentiate themselves in a market growing 15% year-on-year. On top of this, millennial consumers are spending over 9% of their paychecks online, which is the highest percentage of any generation to date. We have a multi-channel monetization structure through SaaS and affiliate revenue. ShopVenture works with online merchants by providing a sales channel and SaaS platform to collect, manage and monetize their customer reviews. The idea for ShopVenture was inspired by a bad online shopping experience. Co-Founder Min Yong purchased her bridesmaids’ dresses online, only for them to be delivered after her wedding. Min’s experience allowed us to pinpoint a problem in the e-commerce industry. Over 72% of consumers have had a negative online shopping experience. ShopVenture provides product and shop validation to help consumers make smarter purchase decisions, and help great online merchants grow through a community of engaged online shoppers. What’s it like to be a female founder building a business in NYC? What resources have you found most helpful? Building a business is tough no matter what, and while it’s a fact that women receive less funding, the support system around female entrepreneurs is growing. NYC has a number of strong communities for female entrepreneurs, networking events and female-run VC’s, and this is only the beginning. 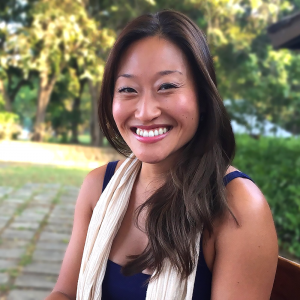 This year, ShopVenture participated in Rent the Runway’s Project Entrepreneur, MentHERnyc, spoke at Deals & Divas and attended many more events centered around female entrepreneurs. We now have access to women who have come before us and are actively engaged in helping female-run businesses succeed. 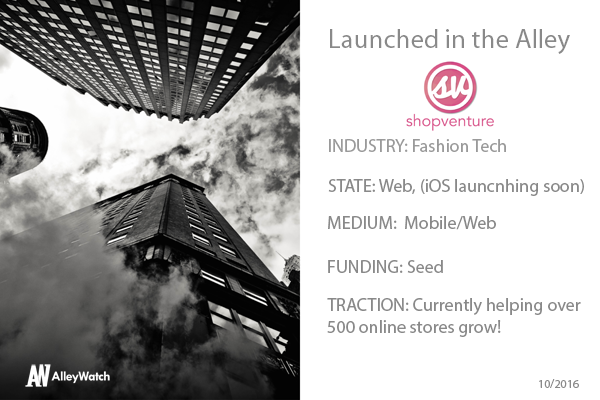 We hope to be helping over 1,000 merchant customers grow their businesses with ShopVenture. No one has ever told me not to go for it. I think once you start a business, there are so many ups and downs, but you never once wish that you didn’t do it. We launched the platform in beta while I was living in Singapore, but we saw our highest traffic and conversion metrics coming from the US, so we knew that we needed to move to really focus on the US market. We moved the business to NYC in early 2016. I have always loved living and working in NYC. It has an energy all its own, plus it’s a mecca for fashion and technology, which ties in perfectly with our business. My own tiny NYC balcony.